Some years ago I bought some Alchem rapier flat tang blades. I intended to use them for free sparring. but found them too heavy. On the other hand, they are well made, durable and with sufficient flex, so I decided to use them in some other projects. 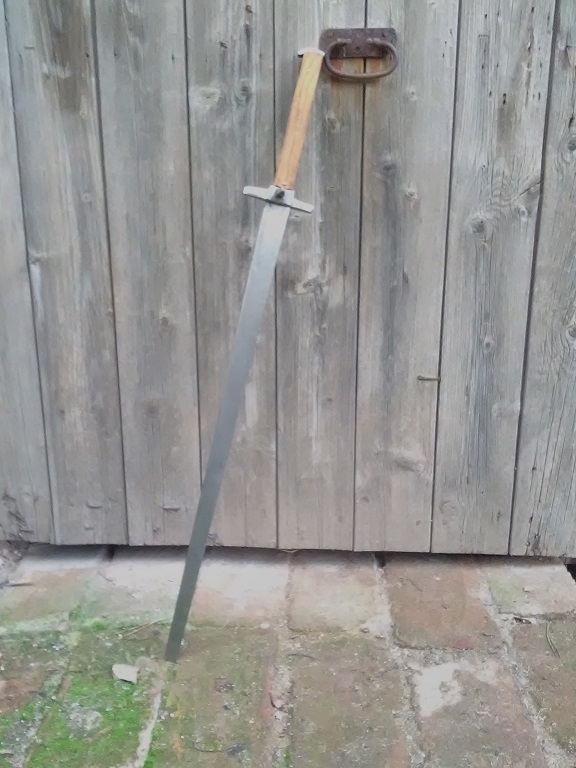 This one was shortened to some 75+ cm, with 60cm blade, and shaped. I have added crossguard and nagel shaped from pieces of soft steel I had laying in my workshop, an oak handle, and brass pins. the only real problem was grinding holes through the tang: steel was really well hardened, so I had to burn through it with TIG welder - a nasty job but it worked. All in all, the work took some 10 hours. I was not trying to create something fancy, rather a simple training messer. 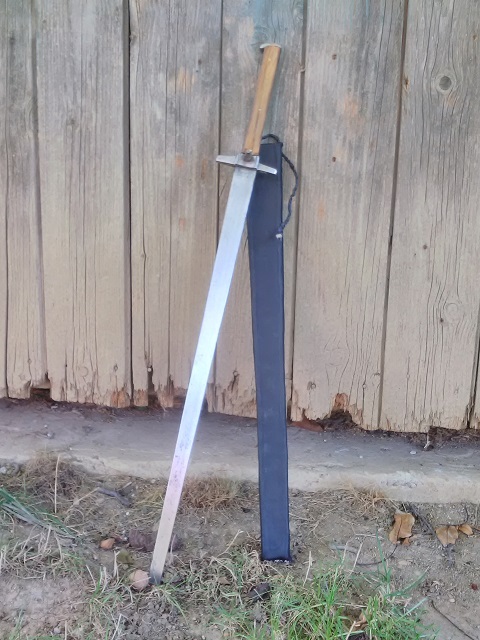 The blade, when shortened, is not flexible enough to be used in free sparring, but it could be surely used for training techniques. It handles quite nicely and is not too heavy (little over 700 grams in total). 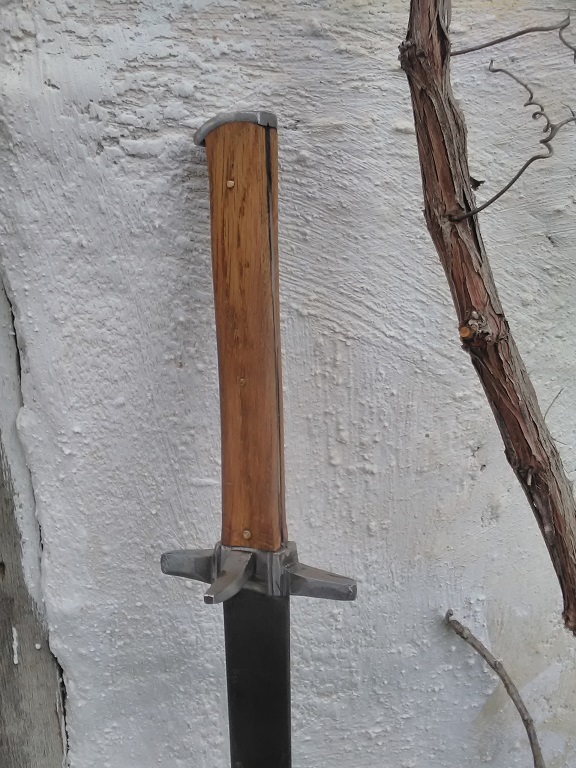 I´ve made a simple leather scabbard, with wooden core. The project is finished now.